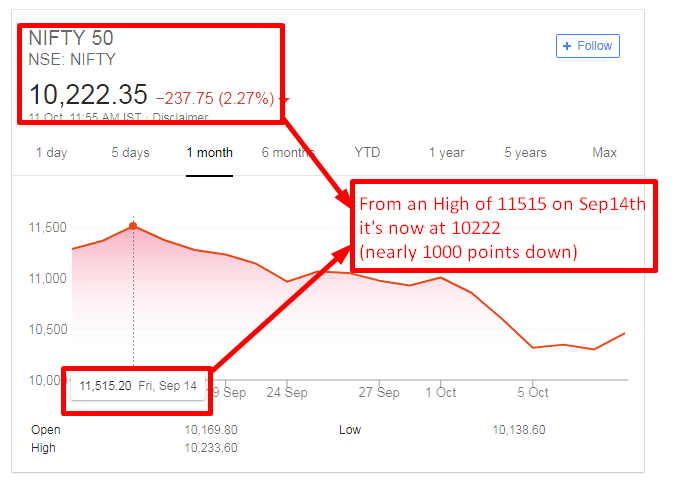 Previously I have warned about the perils of investing shorterm in Stockmarket by indicating ICICI bank stock and now the entire stock market is in doldrums due to various factors. All these operators work in cahoots with each other to bring the stocks down by overselling it so they could be bought again. Next story How Amazon and Flipkart cheat Indian people with Fake discounts during “Big Billion” days!